Ever wonder where to find the most amazing objects and furnishings? Well, we've got just the answer! 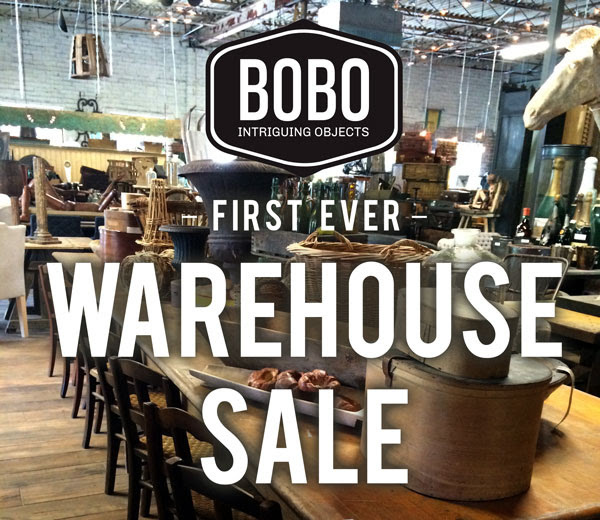 For the first time EVER, Bobo Intriguing Objects will be OPEN TO THE PUBLIC for a spectacular warehouse sale - 2 Days Only / September 12 + 13th! Hope you can shop by! If you’re in town or can make a special trip, stop by and check us out. products, samples, vintage, one-offs, less than perfect, and more treasures. You're receiving this email because you have expressed an interest in PennHouse Productions and our various clients.